Medical Conditions Howard suffers from a blood disorder that causes episodes of memory loss. She takes medication which may cause disorientation. Distinguishing Characteristics Caucasian female. Brown hair, blue eyes. Howard's maiden name is Henderson and some accounts refer to her as Kelley Henderson Howard. 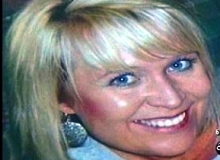 Howard was last seen leaving Riverside Family Dentistry, where she worked as a dental hygienist, on Highway 78 in Riverside, Alabama at 1:00 p.m. on June 2, 2009. She has never been heard from again. After her disappearance, her vehicle was found abandoned at her workplace. The keys were in a plastic bag, lying in some weeds next to the dental office. The day before she vanished, Howard asked her boss for three days off work. She said she wanted to take a short vacation. Her husband of eight years was unaware of this. Howard has an adult son, and had worked for the dental clinic for six years. She lived with her husband in Pell City, Alabama. 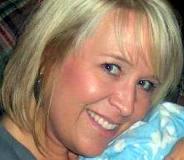 Howard's family believes it's possible her disappearance is connected in some way to criminal activity at her workplace; in 2011, her employer was indicted for fraud, money laundering, and identity theft. It hasn't been proven that this is related to her case, however. Howard's case remains unsolved. Since she went missing, there hasn't been any activity on her cellular phone, bank accounts or credit cards. Although there's no evidence of foul play in her case, it's uncharacteristic of her to be out of touch with her family. She was declared legally dead in 2014. Updated 5 times since October 12, 2004. Last updated November 15, 2014; details of disappearance updated.